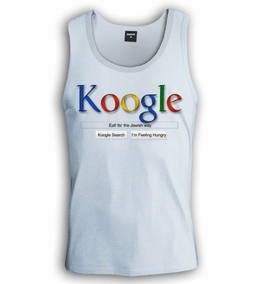 it's the noodle pudding dish that's driving the Jewish world crazy - you guessed it - Koogle! Don't like it?! You're going to have to eat it anyway, it's the Jewish way! 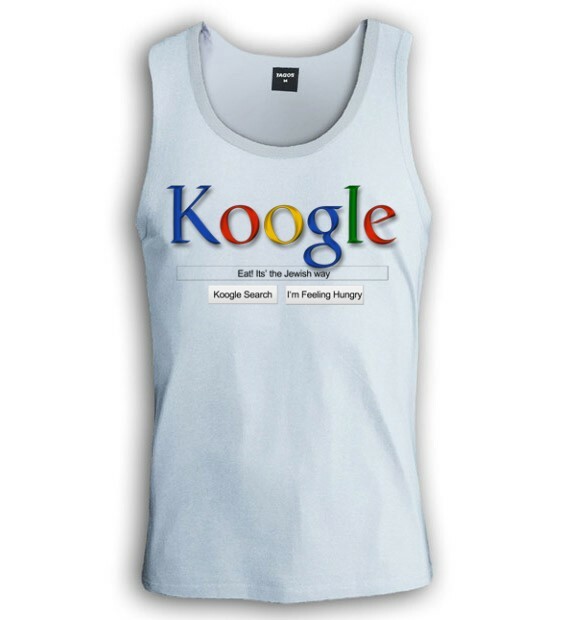 Get the awesome Koogle T-shirt today! (Notice we have also incorporated the logo of a small up starting internet firm you might recognize - always fun to lend a hand to small businesses in need.) Our t-shirts are made of 100% cotton and are long lasting with bright colors. Our products are all designed and printed in Israel.